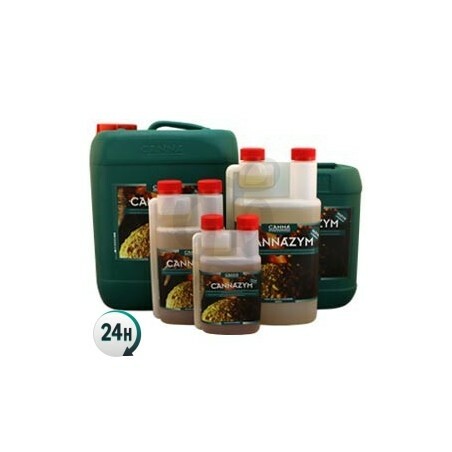 Terra Vega by Canna is a complete fertilizer used during your plants’ growth period. It gives them the necessary nutrients to grow healthy and strong when grown in soil. Terra Vega by Canna is a base fertilizer for your plants’ growth period that gives them the nutrients they need to grow super healthily, preparing your plant for a productive flowering period. It contains quality mineral ingredients that are easily dissolved in water and are 100% absorbable. Your plants a guaranteed a strong growth period and an intensely productive flowering phase. Terra Vega by Canna can be used in any automatic watering system such as drip irrigation without blocking the tubes. It’s generally combined with other additives that stimulate root growth such as Rhizotonic by Canna and other products that stimulate the growth of life in soil such as Canna Boost Accelerator, or Cannazym with turns dead organic material into sugars that your plants can feed on. You’ll be able to grow large, radiant, green plants with little effort. Consult the manufacturers growing table in order to get the best possible results when harvesting. Begin using from when your plants have three sets of leaves. Add from 4-5ml per liter of water in your nutrient solution. Alternate between watering with just water and using nutrients during the growth phase. It can be used alongside other additives such as Rhizotonic by Canna.